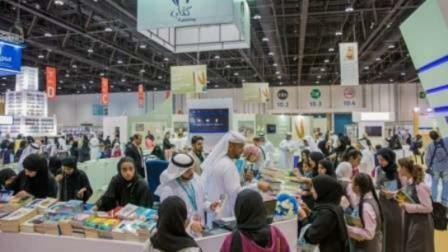 More than 500,000 titles spanning 35 different languages will be on display at the 28th edition of the Abu Dhabi International Book Fair (ADIBF) that will begin on April 25 in Abu Dhabi. The exhibition - one of the biggest in the region - will be hosted at the Abu Dhabi National Exhibition Centre (ADNEC) and will run until May 1, 2018, The Department of Culture and Tourism announced on Monday. Held under the patronage of His Highness Sheikh Mohamed bin Zayed Al Nahyan, Crown Prince of Abu Dhabi and Deputy Supreme Commander of the UAE Armed Forces, the ADIBF will host 1,350 exhibitors from 63 countries at an exhibition space covering 35,000 square metres at ADNEC. An extensive cultural public programme with more than 830 seminars and workshops will be held with authors and publishing experts from around the globe. Celebrating Poland as the Country of Honour, ADIBF will introduce audiences to the 1,000-year history of Polish literature. These works, authored by Polish writers over the centuries, will open a platform for all to explore the cultural wealth of Poland. The Department of Culture and Tourism's Kalima Translation Project will present 25 new books of literature, translated from three international languages - French, English and German. Additionally and for the first time ever, DCT Abu Dhabi will offer visitors to ADIBF an "electronic card" that they can charge with credit to purchase books, for a seamless experience without the need for them to carry cash. Saif Saeed Ghobash, Director General of The Department of Culture and Tourism - Abu Dhabi, said: "Since the first edition of book fair held in 1981 at the Cultural Foundation under the guidance of the late Sheikh Zayed, our nation has followed his vision to develop a culture that recognises the importance of the consumption and production of literary works." "The great strides made in the development of a publishing industry in the UAE, has resulted in the creation of a literary tradition that champions the achievements of the past and combines them with modern literary trends. This year's edition of Abu Dhabi International Book Fair brings together a stellar selection of authors, thought leaders, academics, poets, publishers and more. He added: "It is with great honour that we join the nation in celebrating the 'Year of Zayed' and pay homage to our Founding Father's exceptional spirit and the vision he had for our country, the cultural landscape in the region, and the wheels that he set in motion to enable generations of Emiratis to live a life full of learning." Robert Rostek, the Ambassador of the Republic of Poland in Abu Dhabi, said: "Both 100 anniversaries are of huge importance for our past, our present and future generations in both countries. To be the Guest of Honour of the Abu Dhabi International Book Fair 2018 is a great privilege, but being a Guest of Honour in the 'Year of Zayed makes this role even more special and important." The fair will be open to the public from 9am - 10pm daily except on Friday, when the timings will be 4pm - 10pm.